What is bps file? How to open bps files? The BPS file extension is related Bulletproof FTP server for Windows. 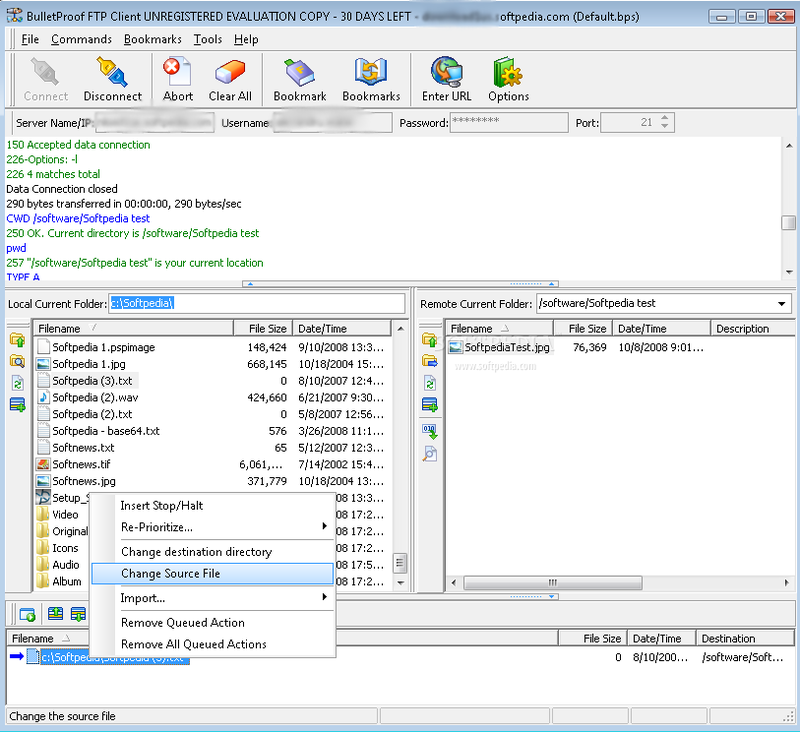 BPFTP Server is the most simple and powerful FTP server to install and manage. Total control over connected users and where your files go. A *.bps file contains settings. BulletProof FTP Server for Windows most simple and powerful FTP server. It is able to control over connected users and where data go. and possible program actions that can be done with the file: like open bps file, edit bps file, convert bps file, view bps file, play bps file etc. (if exist software for corresponding action in File-Extensions.org's database). Programs supporting the exension bps on the main platforms Windows, Mac, Linux or mobile. Click on the link to get more information about BulletProof FTP Server for Windows for settings bps file action.